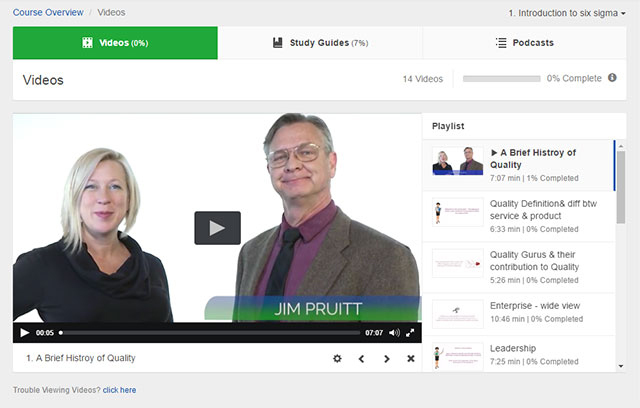 High quality, interactive, and engaging online videos teach each chapter and knowledge area. 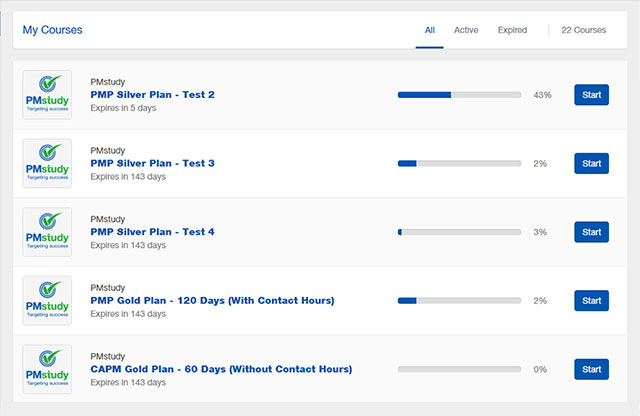 All course videos are prepared and presented by industry experts. 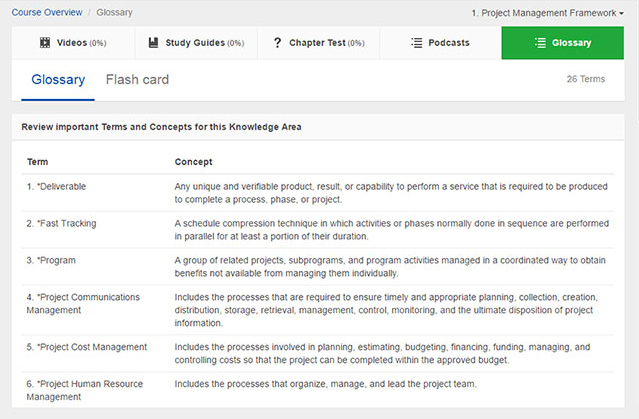 Study guides for each chapter cover key concepts in all knowledge areas. These are also available in downloadable formats that can be accessed whenever needed. 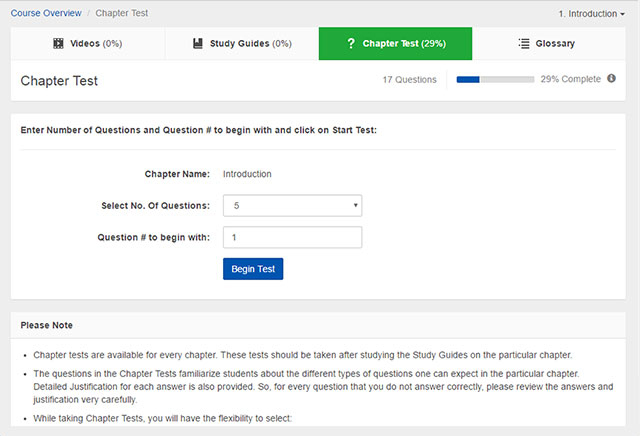 Practice tests for each chapter help students gauge their preparedness. You even have the flexibility to select the number of chapter test questions you want to attempt. Important terms and concepts for all chapters and knowledge areas are included. You can also use these terms as a collection of flashcards for practice and review. 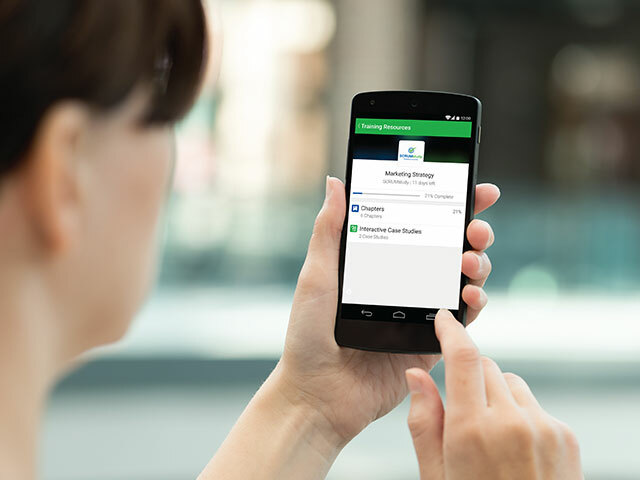 Access courses in all formats anytime, anywhere through VMEdu's innovative mobile app and enjoy the same learning experience that you get online. 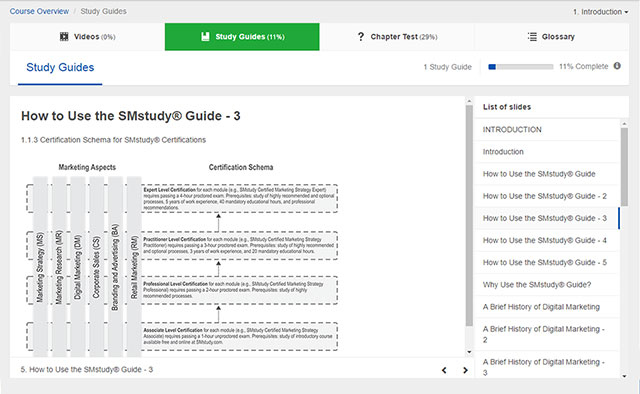 Track your progress in any course and chapter online or on mobile app and continue from where you left off. 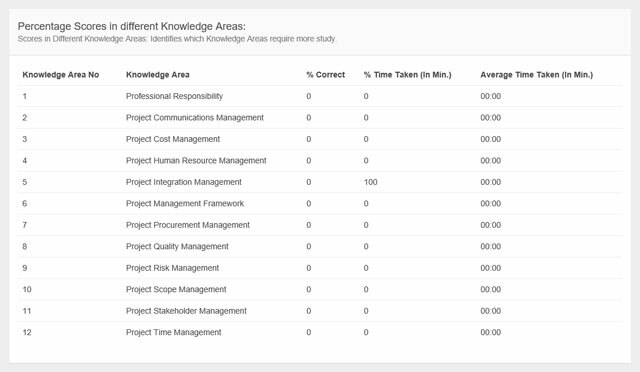 Knowledge area-wise analyses of exam results with justifications for each question help you identify your areas of strengths and weaknesses.